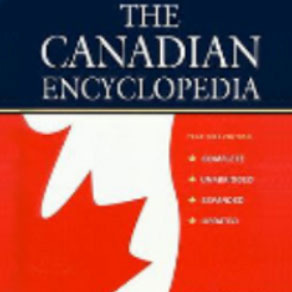 This section contains information related to Canadian Rug Hooking and a Glossary of Terms. In the Canadian Museum of History Website you can visit three virtual exhibitions linked to rug hooking. The first is the Hooked on Rugs exhibition. Secondly, if you're interested in seeing the Garret's "Bluenose" Hooked Rug, you can visit it in this virtual exhibition called Before E-Commerce, a history of Canadian mail-Order Catalogues. Finally, explore Heart and Soul: Quebec Folk Art, to learn about Noé J. Champagne hooked rugs. To see the Canadian Museum of History rugs' collection, follow the link and type "hooked rug" in the "Search the Collections" tool. Visit The Virtual Museum of Canada to discover Hooked, an on-line exhibition about the Placentia West Matmakers of Newfoundland and Labrador. To see the Textile Museum of Canada rug's collection, follow the link and type "hooked rug" in the "Search the collection" tool. To explore McCord Museum Online Collection, use the keywords "rug, carpet, mat or hooked rug" in the quick search tool. To discover Chéticamp Hooked Rugs in Nova-Scotia, visit Les Trois Pignons featuring the Elizabeth LeFort Gallery. Read Martine Jacquot's article: "Elizabeth LeFort, de Chéticamp au Vatican" (pdf document, in French). Read Edward Langille's article "M. Lillian Burke (1879-1952): Three Lost Chéticamp Carpets". Follow this link to discover the silk stocking mats of the Grenfell Mission of Newfoundland and Labrador. Don't miss Paula Laverty’s Website and book and her article "Silk-Stocking Mats" on the Newfoundland and Labrador Heritage Website. Visit The Canadian Encyclopedia Website to read Max Allen's article "Rugs and Rug Making". To discover Prince-Edward Island hooked rugs, we invite you to read Anne Nicholson’s article "Rags and Bags: Functional Art from Sacks and Worn Clothing, Hooked Mats of Prince Edward Island" (A pdf document, pages 55 to 72). Cutter: a special cutting machine that allows to cut several strands in one operation. Dye Bath: A pot of hot water (simmering water) sufficient to hold your fabric and to which an amount of dye or a measured amount of dye formula has been added. Dye Formula: is an amount of 1 dye or a mixture of 2,3,or more dyes in a specific amount of water. Dye Pot: A utensil of glass or enamel used exclusively for dyeing. Florals: Rugs with flowery patterns. Geometrics: Patterns representing, geometric figures such as squares, rectangles or circles that are hooked in a certain way to create a special visual effect like a weave, tumbling blocs, etc. Orientals: Rugs with an oriental pattern, hooked in rows, as if woven. Pictorial: landscapes, portraits, still lives, etc. Primitives: The style of rugs as they were made centuries ago. Swatch: a number of pieces of fabric usually 6 or 8 dyed in different values ex. from pink to dark red, used for the shading and highlighting of flowers. Value: the hue of a color. Visit the Tips section and don't miss News & Blog to read the latest posts about Rug Hooking! Copyright © 2008-2019 Beaconsfield Hooking Crafters Guild. All Rights Reserved. Copyright laws protect all materials contained in this Website. Many of the rugs are original designs of our members which may not be reproduced or used in any context whatsoever without written permission of the Beaconsfield Hooking Crafters Guild. Other rugs are original designs of rug hooking artists or rug hooking companies and may not be reproduced without permission of the copyright owner.